You can use the train to get to the pride of Bergen Norway, Norwegian State Railways or NSB. NSB ads on various websites featuring video footage of a Norwegian railway line which serves a variety of beautiful scenery. Each path has a name such as NSB Rauma Railway promising spectacular scenery along the Oslo / Trondheim – Dombas – Andalsnes. The Nordland Railway operates be between Bodo – Trondheim is located north of Norway and the promise of adventure experiences scenery as the train crossed the line Arctic. Meanwhile, the Bergen Railway which connects Oslo to Bergen referred to as one of the train lines with the prettiest scenery in the world. Bergen train line heading like warming up before the visitors enjoyed a variety of enchanting beauty of nature Norway truth. Carriage rate in Norway is more expensive than the bus fare. Especially in Europe, the train became one favorite public transportation. 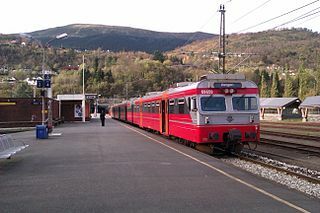 However, the price for the train to Bergen Oslo line can be much less expensive than bus fares, that is by using the ticket minipris. Minipris ticket prices starting from 299 and 399 NOK price and applies to the entire station in Norway. If minipris 199 NOK discharged, the system will lead to 299 NOK and beyond. Minipris ticket price was much cheaper than the price of tickets Oslo to Bergen that can actually penetrate 788 NOK. Another fun thing when you go to NSB NSB facility was Sleeper could get for using the night train. It is recommended to choose to go to Bergen at night and sleep on the train during the night before. NSB Sleeper provides a complementary pack containing blankets, blinkers, air pillow, and earplugs to make sleep more comfortable. All complementary pack can be taken home. In addition to trains, there are also foam serving the route Oslo to Bergen, as Lavprisekspressen and Nor-Way Bussekspress. It’s just that the bus travel time is much longer and more expensive ticket prices compared to NSB minipris. Besides the scenery along the route bus to Bergen is not necessarily better than the view of the Oslo to Bergen train line. If you want to use the aircraft, SAS plane will land at Bergen Flesland Airport is located. From Bergen Flesland heading can use Flybussen Bus.